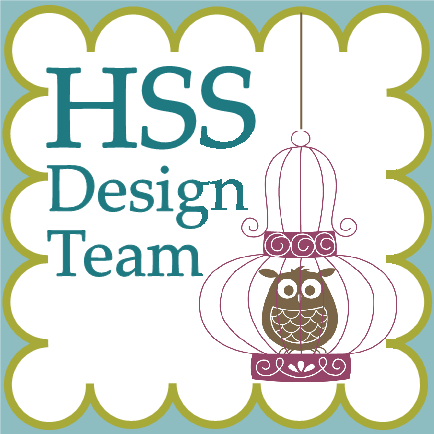 Another fun challenge at Hand Stamped Sentiments – watercoloring technique. 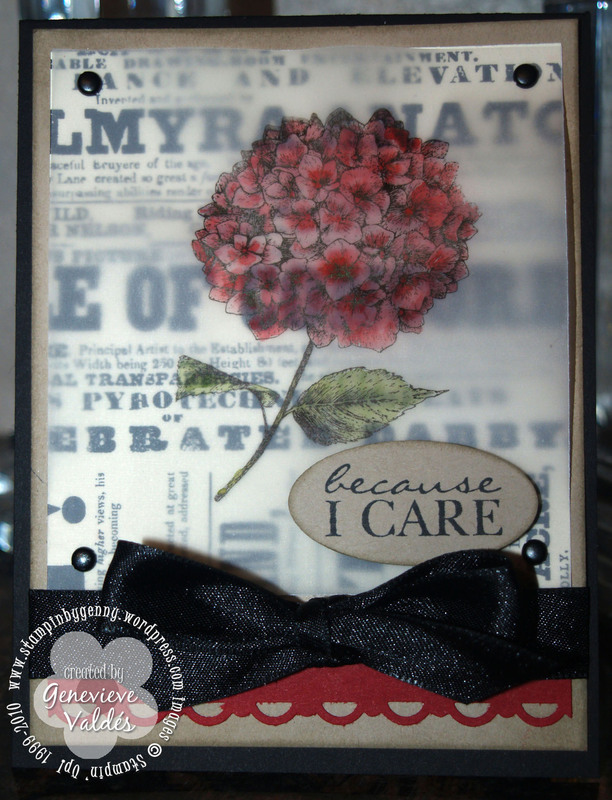 I really like the hydrangea in the Because I care stamp set so I used the image in my project. I also used the Newsprint DSP and Vellum. I love the Newsprint DSP. All the patterns are so interesting and they’re perfect for so many projects. I stamped the hydrangea image with Classic Black ink on Vellum paper. The Classic Black ink is a good choice to stamp an image you’re going to watercolor because the ink is waterproof. I then watercolored the hydrangea in Cherry Cobbler and the leaves in Old Olive. The Crumb Cake layer and oval are sponged in Crumb Cake to give more of a vintage look. I added a border punched with the Scallop Trim punch and Black Satin ribbon at the bottom of the card. I hope you’re inspired to try this technique. I can’t wait for you to take the challenge and post your creation. That looks amazing! The second I get home I’m trying this, I’m sure I’ve got some plain vellum laying around! Thank you for sharing! This is beautiful. Love the coloring and the colors you chose. The black ribbon just adds the finishing touch, so elegant. What a gorgeous, gorgeous card! Everything about this design is perfection. This is gorgeous, love the design of this. Very pretty, love it over the newspringt, DSP.